Several dozen San Diego County elected officials, business figures and nonprofit leaders will gather Tuesday for Habitat for Humanity's Women of Influence event. 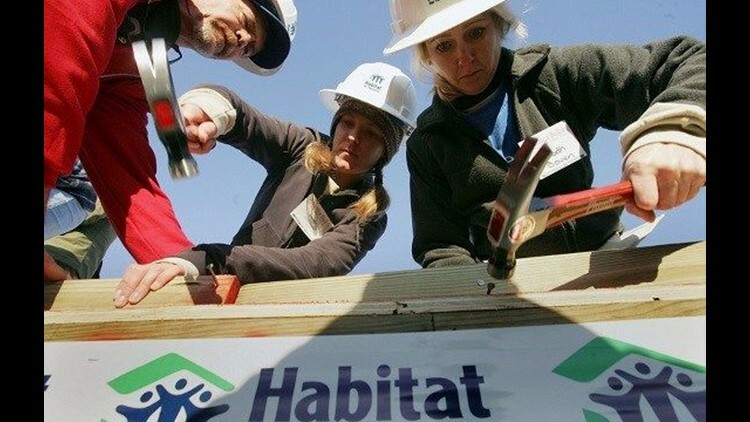 SAN DIEGO (CNS) - Several dozen San Diego County elected officials, business figures and nonprofit leaders will gather Tuesday for Habitat for Humanity's Women of Influence event. San Diego County Board of Supervisors candidate Bonnie Dumanis, Encinitas Mayor Catherine Blakespear and San Diego Unified School District Superintendent Cindy Marten are expected to raise hammers at the event, which is part of Habitat for Humanity's annual Women Build monthlong fundraising initiative. Participants will volunteer at a Logan Heights town home construction site. In addition, participants are asked to raise at least $200 in support of the creation of affordable homeownership opportunities. Since 2009, Women Build volunteers have built or repaired 14 houses in San Diego County and raised more than $450,000, according to Habitat for Humanity. This year's fundraising goal is $175,000. Habitat for Humanity homeowners typically invest 250-500 hours of "sweat equity" alongside staff and volunteers to help build their homes, according to the nonprofit. When construction is complete, homeowners make affordable mortgage payments that are recycled back into the program. For more information on how to get involved with Women Build, click here.